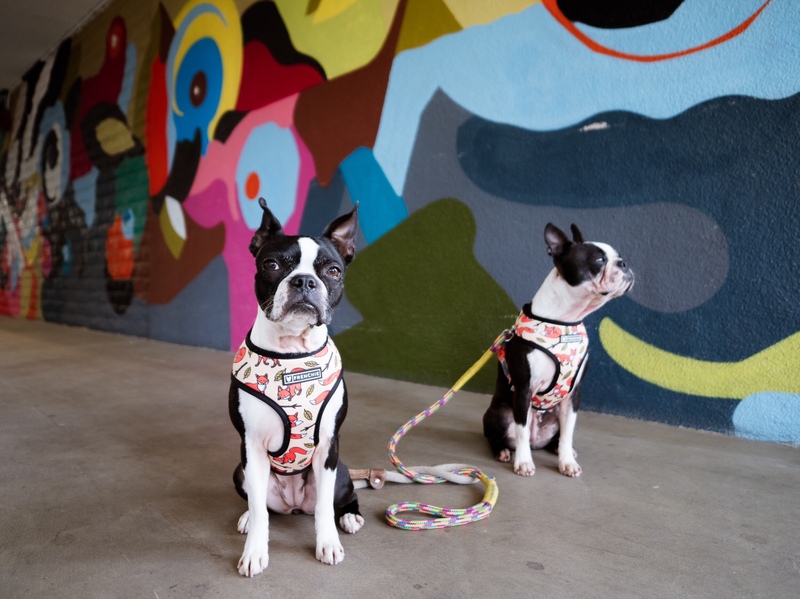 If I can’t bring my dogs – I don’t go. It’s that simple. A recent trip up the coast had me looking into dog friendly hotels. And I found one under the Kimpton Hotel brand umbrella. I’ve been a fan of the Kimpton hotels. Slightly biased because in a previous lifetime I worked for Tom LaTour (first CEO of the Kimpton hotels) when he formed his own management company LaTour Hotels and Resorts. 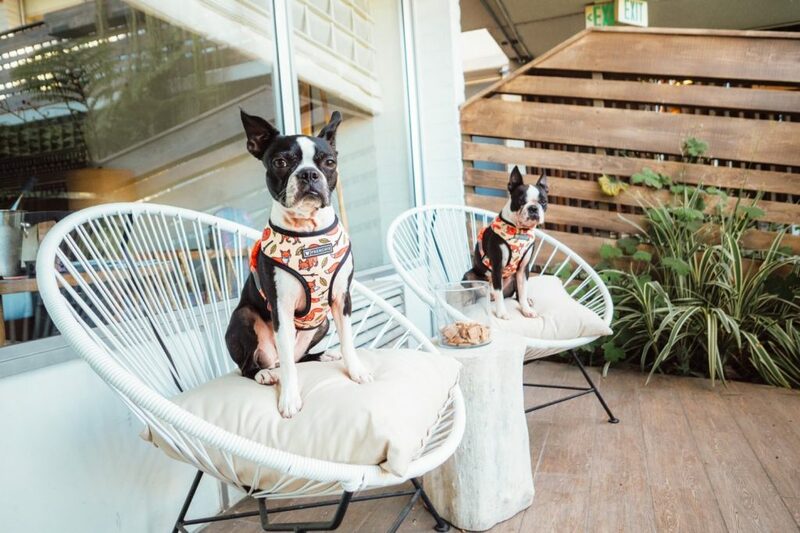 Not only were they the first to come up with the boutique hotel concept, they were a pioneer in pet friendly accommodations. I like hotels with personality. And The Goodland Hotel was just that. 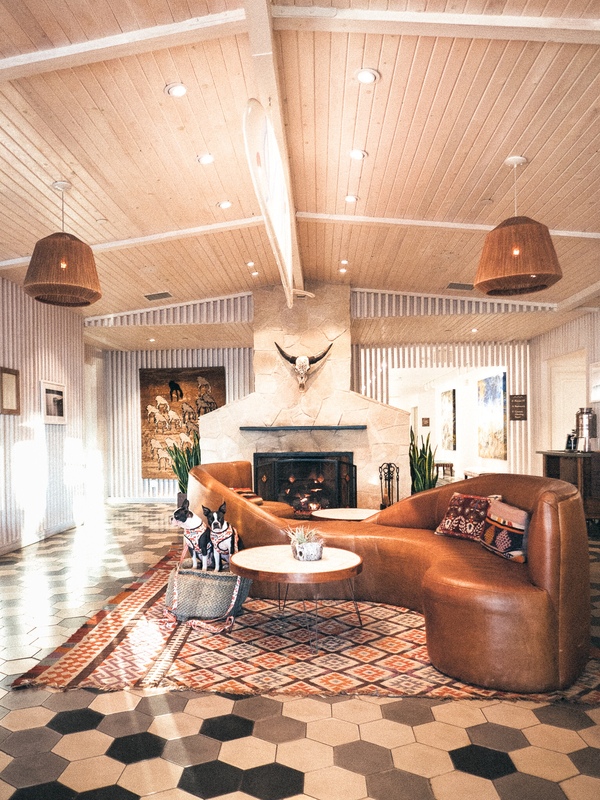 Located in Santa Barbara, the hip and Southern California vibe could be seen via the surf inspired decor. 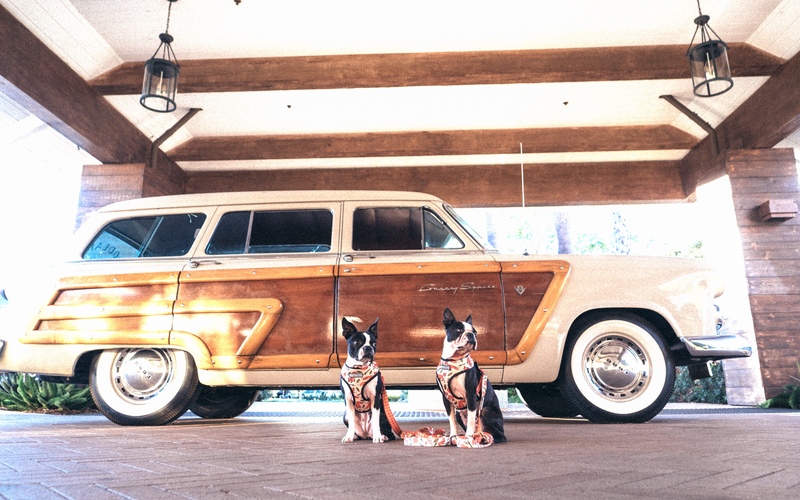 Upon arrival you’re greeted by palm trees, a woodie and even an airstream. Lots of photo opportunities for “the gram”. In fact when you check in – you’re given a map with all of the Instagram worthy spots. All of the staff members we encountered were warm and welcoming. Being that I spent my first 20 years in the hotel industry, I could tell that the staff there were genuinely enjoying where they worked. 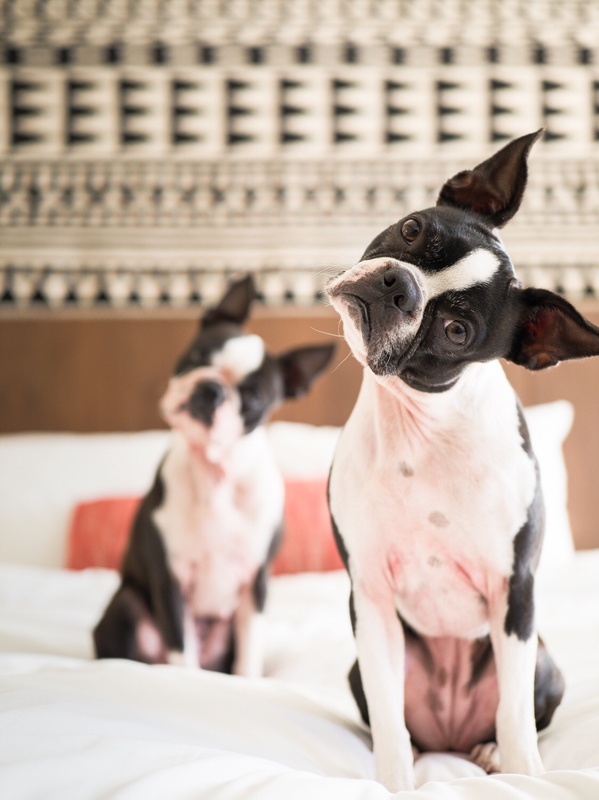 More importantly – The Goodland Hotel is genuine towards their four pawed guests. 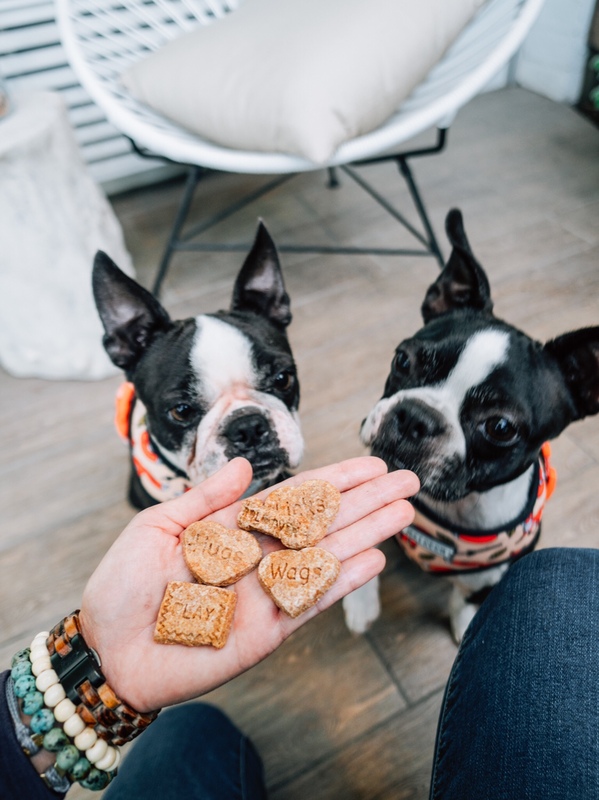 They had these amazing treats that my two could not get enough of. It took me about 6 hours to drive to Santa Barbara from San Diego. I was a bit tired from the drive. And the nightly wine reception was a treat. My two sat with me while I had a glass (or two) of wine and h’ors douevres. My original plans included heading to town to explore – but it was so relaxing I decided to dine on site. Their Outpost restaurant had patio seating *heck yes my dogs could sit with me! I had a lovely dinner and retired for the night. I only stayed one night. It was so relaxing I never ended up leaving the hotel. It only gives me a reason to go back and explore Santa Barbara more. As Visual Recognition gets Better – Will the Hashtag Still Be Relevant? This place looks awesome! I want to go! 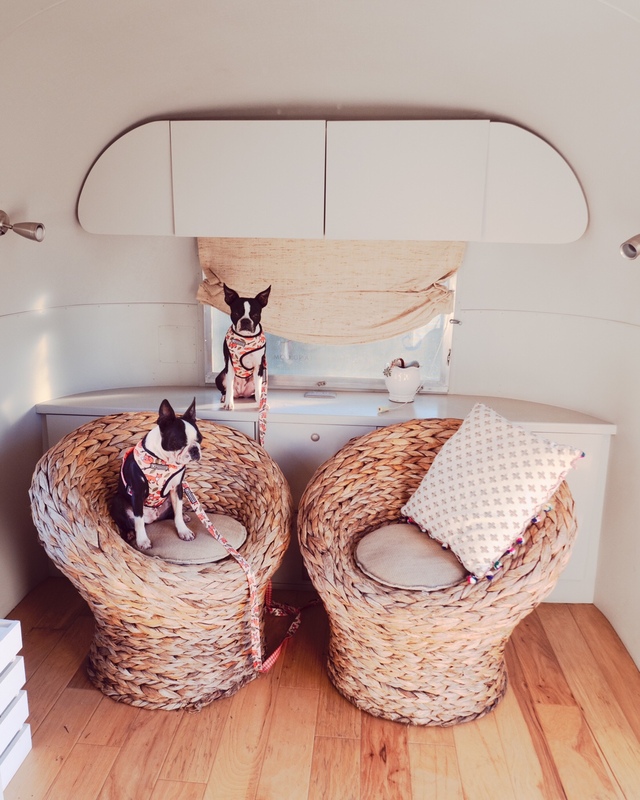 Santa Barbara is so dog friendly – and this property was amazing!